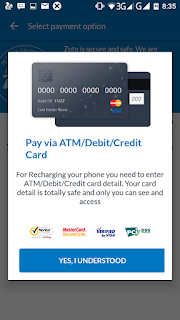 Zoto mobile recharge is an application that makes recharging easy with benefits. I’m sure no network does that. 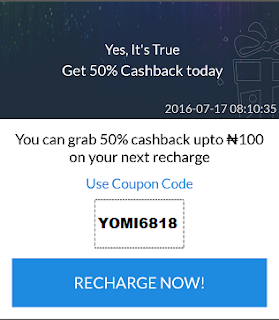 Zoto mobile recharge gives you 50% cash back when your recharge with the app. I’ve gone through the app and it is absolutely secure to use. Why should I use this application? >>Fastest Recharge: Complete your online recharge transaction within seconds. Yes, Zoto is 100% secure with PCI-DSS certified and one of the few very secure recharge applications. All your transactions are 128 bit SSL secured with trust seal from industry leaders such as VeriSign. How Can I Recharge With The app? 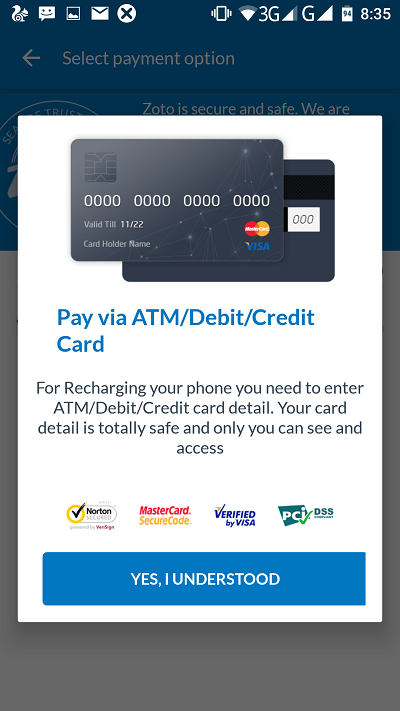 Enter the amount you want to recharge in the provided space ==>Proceed and enter your Verve or master card number, follow the rest process and you are good to go. For now, it is available on iOS andAndroid users. But BB10 users can also install it. How efficient is this APP?